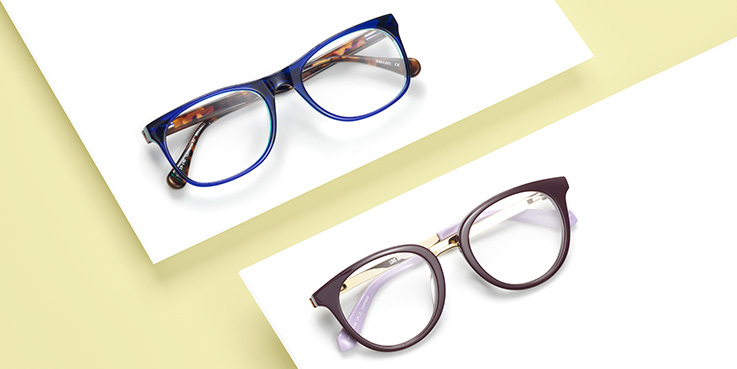 We’ve got an extensive range of on-trend designer glasses at prices you’ll love. From glamorous and sparkly to something more contemporary and understated, we have glasses to suit you. And with our 2 for 1 offer, you can choose any two pairs of designer glasses from our 129€-229€ ranges – and pay for just one. That includes styles from Pierre Cardin, BOSS Orange, Timberland, and the latest designs from Quiksilver, Tommy Hilfiger, Superdry and Karen Millen. Plus, you’ll get our standard single-vision lenses with scratch-resistant treatment in both pairs at no extra charge. Cannot be used with other offers. Second pair from 129€-229€ ranges, to the same price range or below and to the same prescription. One pair with free sun and UV tint - usually 30€. 129€-229€ ranges: standard 1.5 single-vision lenses included in both pairs. For 1.5 Standard varifocal or bifocal lenses you pay for the lenses in your first pair. 199€ Fineform and Rimless ranges: standard 1.6 single-vision lenses included in both pairs. For 1.6 Standard varifocal or bifocal lenses you pay for the lenses in your first pair. All lenses are scratch-resistant. Extra Options available at an additional charge on both pairs. Excludes safety eyewear.